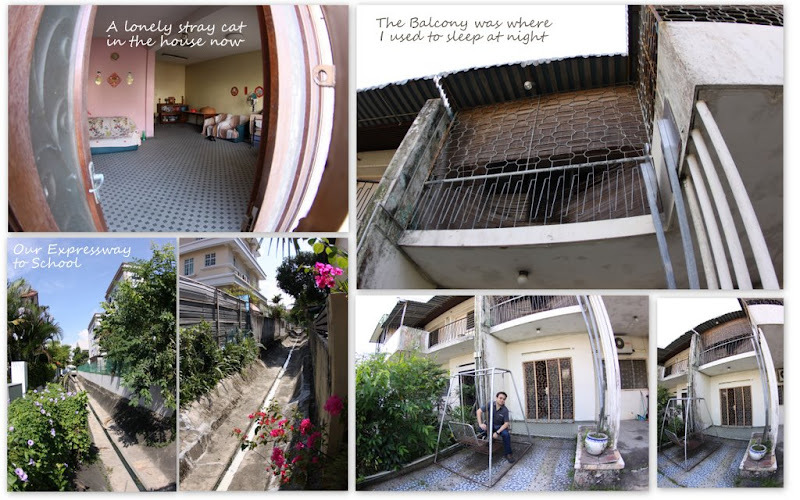 This is my shortest Singapore trip ever (only 20 hours) – Yet for some strange reasons and urge, I told myself that I need to stop by my granny’s old house to take a look. I managed to do that on my way to Changi Airport this morning. It has been more than 7 years since I last stepped into this compound. Everything has changed. Not just granny’s old house but the entire street looks very different now. Overgrown and untrimmed bushes and old-looking house. This place has lost its glow and warmth. It was a street that housed many generations of people. During the good old days like Mooncake Festival and Chinese New Year Eve, this place was a carnival. You see children running, adults chatting in front of the yards and neighbours greeting each other. 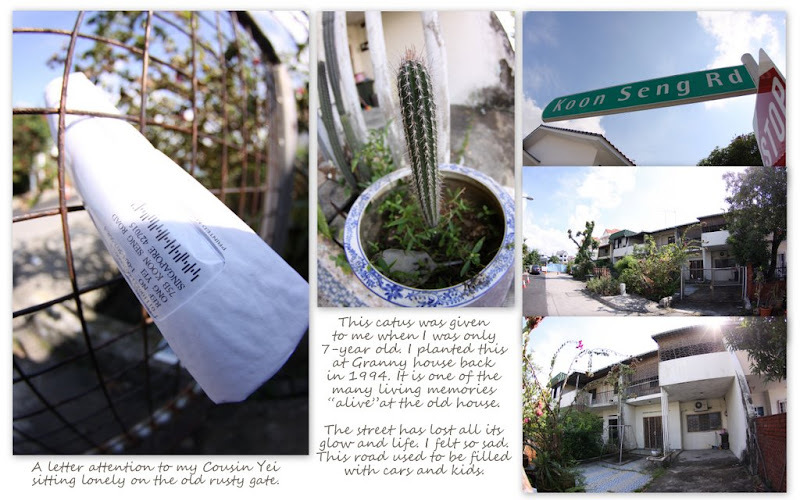 It was a fantastic and homely neighbourhood – filled with sincere Kampong spirit. Sadly, all these were history. I spent about 15 minutes at granny’s old house. It was vacanted…The rusty gate (last painted by me back in the early 90s) lost its shine. The metal swing which accompanied us during our childhood stood there. Nature has taken a big toll here. The upper floor where granny used to drop down the house key for me was being recognition. Looking up at the balcony (where I spent many night sleeping), I wish I can see that familiar face again. I pushed open the door. It wasn’t locked. Everything is neat inside. There was a black cat sitting calmly there. I saw granny’s tablet. I closed my eyes and paid my respect to her. Saying goodbye to this place was difficult. Granny used to walk me to the gate and waved goodbye to me. She will be standing there, looking at my departuring figure. I used to walk home from her place. A long walk to my Eunos flat – 20 minutes. Back then, I had all the time in the world. Walking was a leisure. I tried looking around for familiar faces… my childhood friends had moved away. I spent the last 2 minutes talking photo of the "drainage expressway" where I used to catch guppies and spiders. This drain is an expressway connecting to my primary school and Malacca Hotel. Today, it is still accessible. For sure (and by God’s blessing), I will want to buy this place and restore it back. Not only putting back the bricks and tiles but also relive the true ties of a family gathering. This wasn’t the best looking house or of unique architecture.. For it is more than just any property estate. This is place where I spent many of my happiest moments (with my cousins and granny). It is part of my hertiage and family history. It is also the place that reminded me the very true meaning of "FAMILY" and "LOVE".